We offer a strong educational experience and support tailored to the individual, including pastoral care and mentoring, information and technology. When you train with GPTQ, you’ll feel part of a welcoming and supportive family. We offer education sessions with our medical educators, one-on-one clinical training and guidance with our GP supervisors, and peer-to-peer support via our registrar liaison officers. Being with a group for the whole year and watching them go from their first few weeks in general practice to becoming confident general practitioners a year later is what I like most. At GPTQ, we aim to be as interactive as possible. Our style of education is in small groups with no more than 20 registrars. We provide personalised support, despite our size. Our training is localised and we aim to make the training relevant to each of our communities. We focus on process, integration, understanding, communication, risk management, conflict resolution, advocacy and negotiation. These are skills that registrars need so they can put their clinical knowledge to use. We provide a range of options for registrars, either through GPTQ or affiliated groups such as RACGP and ACRRM. We facilitate sharing of education opportunities. We advertise and promote courses run by RACGP and ACRRM that encourage registrars to explore their special interests at their own pace. We collaborate with RACGP, ACRRM, local hospitals, specialists and community groups who assist us to provide specialist education sessions. 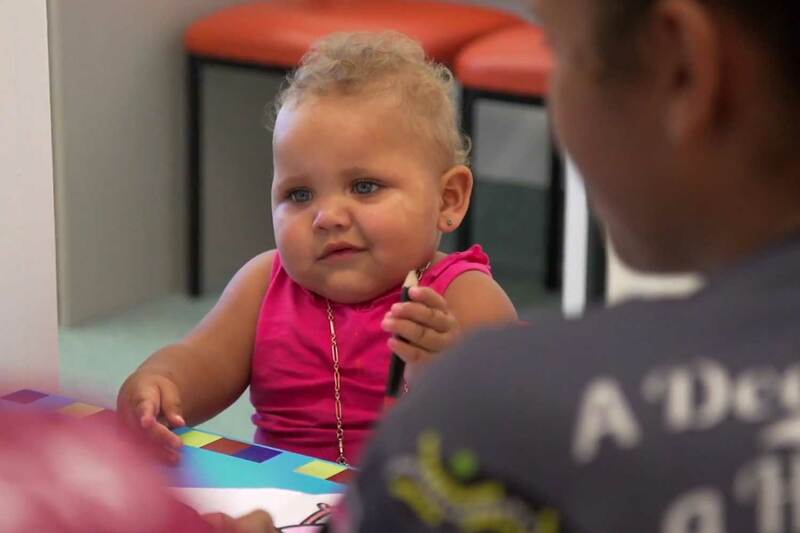 We are developing our relationship with Aboriginal and Torres Strait Islander communities to hold Indigenous health training for our registrars. Clinically, registrars are never alone. Every registrar has a GP supervisor to train, support and assist them to become a great GP. Our GP supervisors are hand-picked, well-trained and highly experienced practitioners who will guide you at every step. GP supervisors are themselves supported by supervisor liaison officers and GPTQ management. We have more than 40 medical educators across our region. These doctors are highly trained professionals who educate, train and support groups of registrars. At the start of training, registrars have an induction meeting with their medical educator and meet twice annually to discuss their training program. Education is delivered in small groups across the year by a key medical educator. Registrars interact with their medical educator every few weeks. GPTQ may provide guest and specialist educators who will deliver training in specialist areas, for example, dermatology. We foster a supportive training culture and make resources available to our registrars both face-to-face and online. A registrar liaison officer (RLO) is a training registrar who advocates for registrars both to GPTQ and at a national level. An RLO feeds information about registrars’ needs back to the organisation, directs them to resources and provides opportunities to grow medical education skills. Our RLOs are available to communicate with, advocate for, and support our registrars. We have a dedicated rural RLO available for rural-specific issues, hub RLOs, supervisor liaison officers and practice liaison officers, who are all available to registrars if needed. An RLO’s obligation is to the registrar, not GPTQ. This affords registrars a safe place to talk about important issues and keeps the lines of communication open. Contracts: including what it should look like; how many hours should be included; negotiating pay and hours and how to do this; and how to interpret and read the contract. Pay: including the amount registrars should be paid; pay rates for education time; and how to manage disagreements over pay with practices. Relationship or communication problems with their supervisor: including what documents to use; how to access medical educators; and how to engage with supervisors. Training requirements: including RACGP and ACRRM policy; leave, such as paid or unpaid parental leave; definitions of full-time and part-time training. Exam preparation: including how much to do; resources available; when to sit; and study group advice. Exam failure advice and support. Personal support: including medical conditions; stress; and family problems. We understand that the decision to take the Rural Pathway may require more support, especially as many registrars are moving to a new location without their social and support networks. That’s why we provide rural-specific support personnel, such as rural RLO, Ghazal Hatton, and rural SLO, Sue Masel. The staff in our rural training practices are highly experienced at training and supporting registrars. They have been hosting registrars within their practices and communities for years and help our registrars get to know the community in which they are working. GPTQ provides the Employee Assistance Program (EAP). All registrars have access to up to four consultations with a counsellor that are fully funded by GPTQ. We also provide fortnightly face-to-face or video conferencing with small groups and medical educators, and the annual GPTQ conference with all registrars. Registrars at GPTQ build their networks via their supervisor’s contacts and through their hospital training. The Queensland Doctors’ Health Program also provides a peer-to-peer clinical advice service for doctors, funded by AMA. We have a Facebook exam preparation group. As registrars go through the journey to become a GP, we offer exam support integrated into our regional instruction information. We also offer special teaching sessions on exam preparation. What support exists for doctors, including GPs? The Royal Australian College of General Practitioners (RACGP): The RACGP sets the standards for general practice in Australia. It is a professional organisation for GPs, GP registrars and medical students. Australian College of Rural and Remote Medicine (ACRRM): ACRRM is similar in scope to the RACGP, with a strong focus on support for established GPs working in rural and remote areas. It also provides support for medical students and doctors considering a move to a rural practice. Australian Indigenous Doctors’ Association (AIDA): AIDA is a not-for-profit association dedicated to providing support for Aboriginal and Torres Strait Islander people working in or considering a career in medicine. Rural Doctors’ Association of Queensland (RDAQ): RDAQ is one of seven state members of the Rural Doctors’ Association of Australia (RDAA). It is dedicated to working with the government to implement solutions to the rural workforce shortage. It also provides support for secondary school students considering a career in medicine, medical students and practising GPs. Get more information about support services for GPs. How do I build an effective professional network? Volunteer – continuous professional development is one thing, but volunteering in areas you love will allow you up to meet like-minded people in your field. Follow up – don’t just meet, greet and forget. Make sure you stay in contact, be it online, over the phone or at meetings. Keep an online presence – LinkedIn, DoctorConnect and your medical specialty college are all examples of online communities that can become an active part of your network. What support is there for rural placements? Get more information about support on the Rural Pathway.